To my surprise, however, the country is developing rather quickly. I mean, you can find Ya Kun Toast there, you know? And just look at the traffic! Bordering India, Bangladesh, China, Laos and Thailand, Myanmar’s culture is a melange of Chinese, Thai, Indian and even Malaysian influences. You can see it evidently in their food. 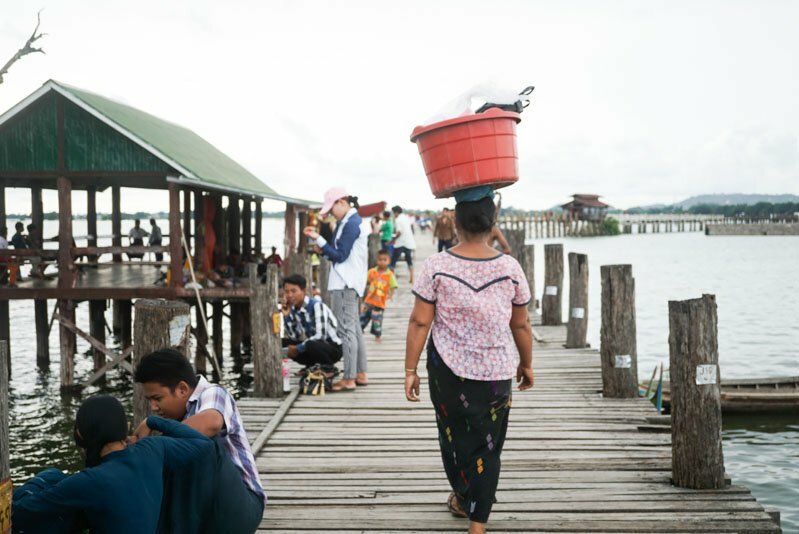 Whilst food is a huge part of Burmese life, Myanmar is also home to lakes, mountains, waterfalls, markets, and pagodas. 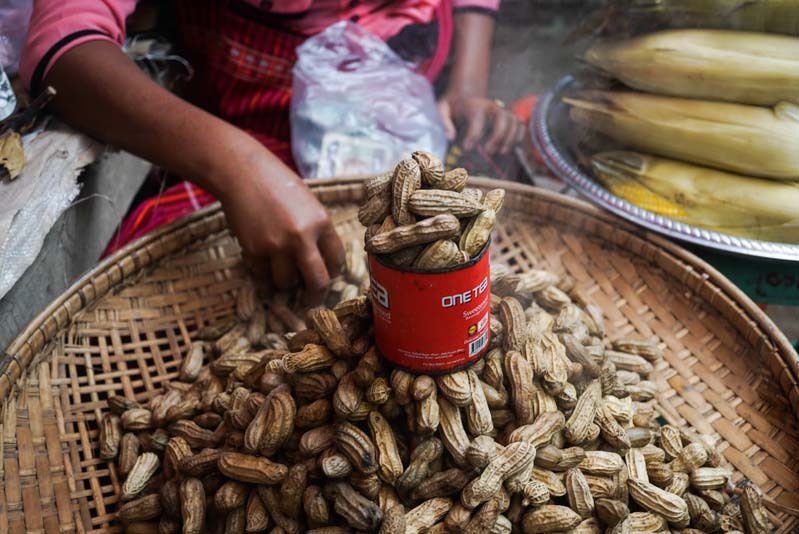 Yes, there is more to do in Myanmar than just to eat. To simply put it, Myanmar taught me more about the world than my A Level Geography textbook ever did. Although it is currently Monsoon season in Myanmar, there were still a lot of things to do. In fact, I think it is better to travel during Monsoon season because it is cooling and there are less tourists so prices are cheaper too. Monks only eat twice a day – 5am and 10am. 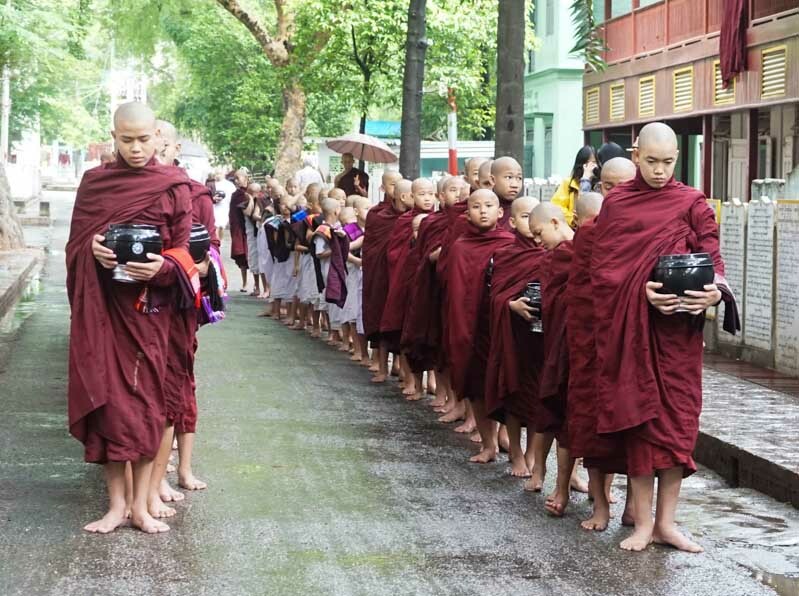 Here, in the picture above, are to-be monks who have yet to learn chants. 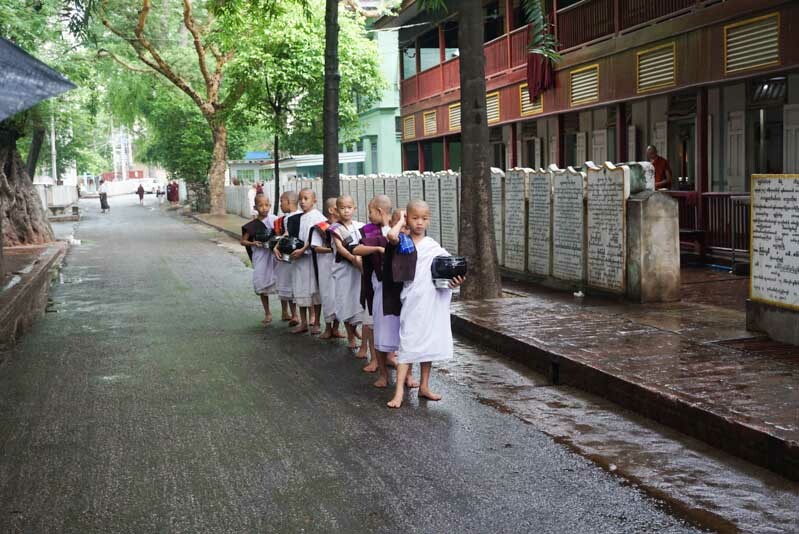 All monks and monks in training gather outside the monasteries in lines before they eat. Not all monks appreciate attention from tourist so do be cautious about taking too many pictures of them. Superstition is everywhere in Myanmar. 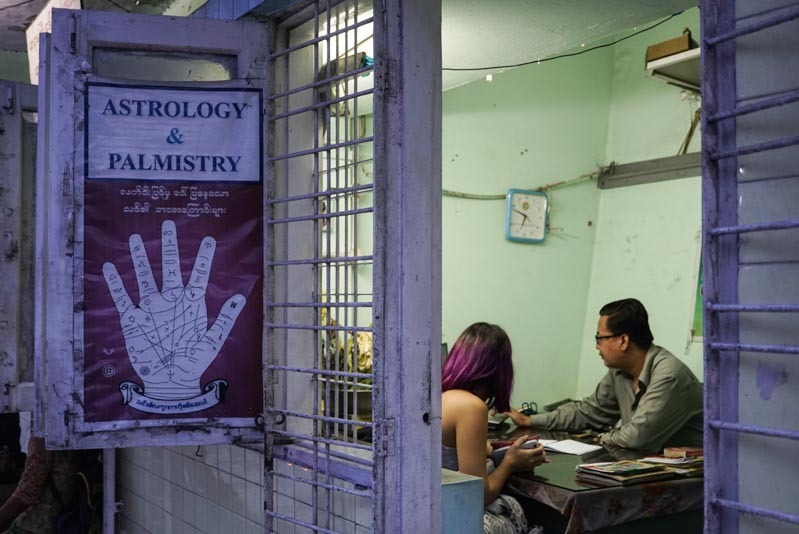 You’ll see people getting their palms read very regularly and it is quite an experience. I, personally, did not have my palm read but I witnessed my friend getting hers read and it was really interesting. The palm reader has a software to program your date of birth, time of birth, etc. and even draws this tic-tac-toe-like grid to decipher the lines on your palms. Yes, do it. 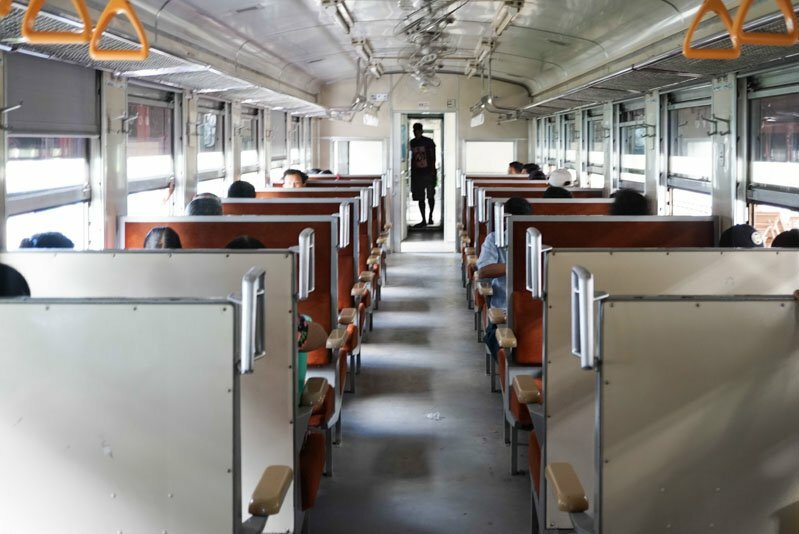 If you’ve ever travelled in Myanmar, you know it’s pretty tiring to travel around. Walking in the humid heat, hitching taxis, riding overnight buses, bargaining… the list could go on, so treat yourself to something nice in between, like a spa day. In Inle, the quietest of all the places I visited in Myanmar, Aqua Lillies is highly recommended. 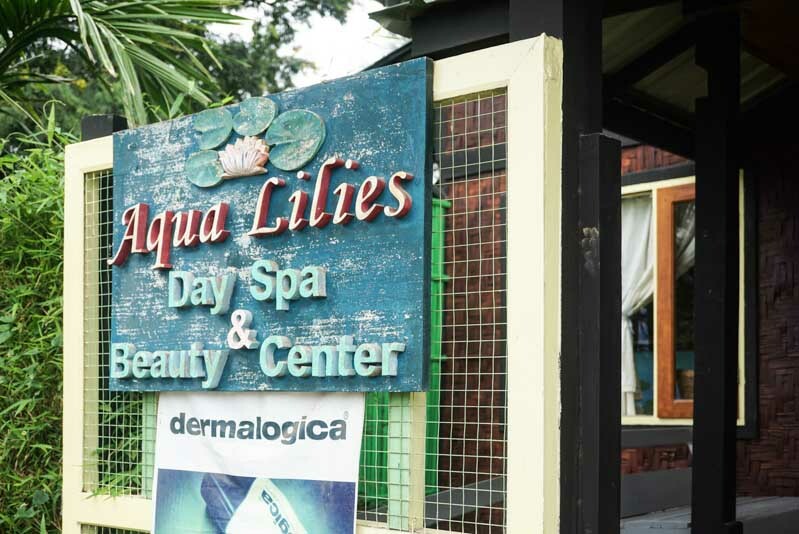 Affordable and great, the staff are friendly and the massages they offer will beat your exhustion for the next three days. Full body massages are going at 14,000 KYT (less than USD14!). The longyi is a sarong-like cloth that women wear in Myanmar. A kind of traditional clothing, the longyi is a beautiful way to dress yourself up. 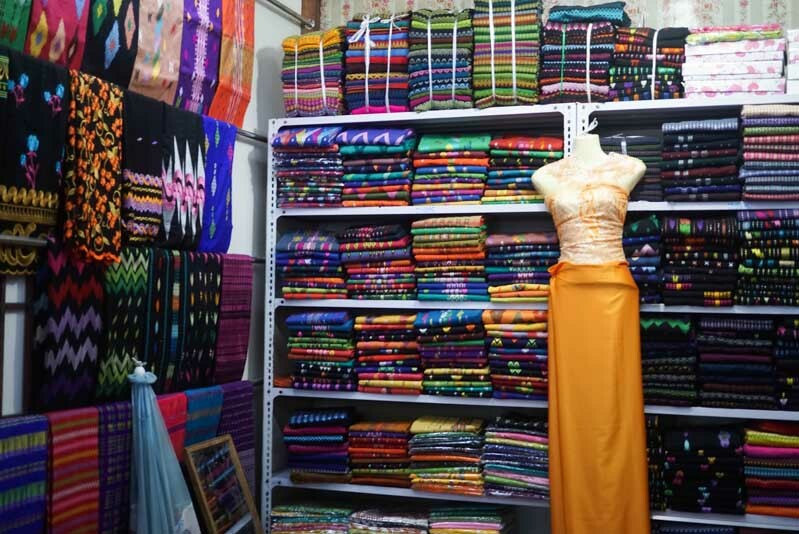 With so many patterns to choose from, choosing a longyi is never a dull experience and they don’t cost that much either – you can find one from USD15 depending on the quality. 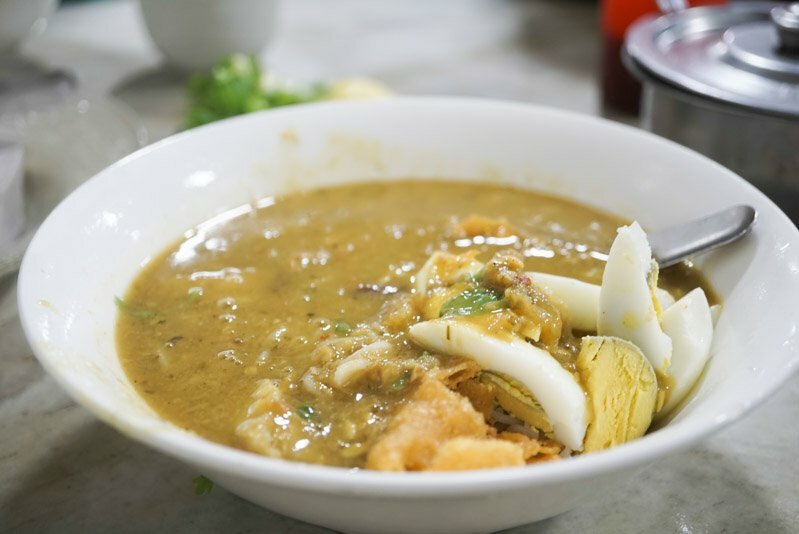 Mohinga is a comforting rice noodle and fish soup. It is an essential part of Burmese cuisine and considered to be the Myanmar’s national dish by many. Usually eaten in the morning, Mohinga is affordable and readily available. 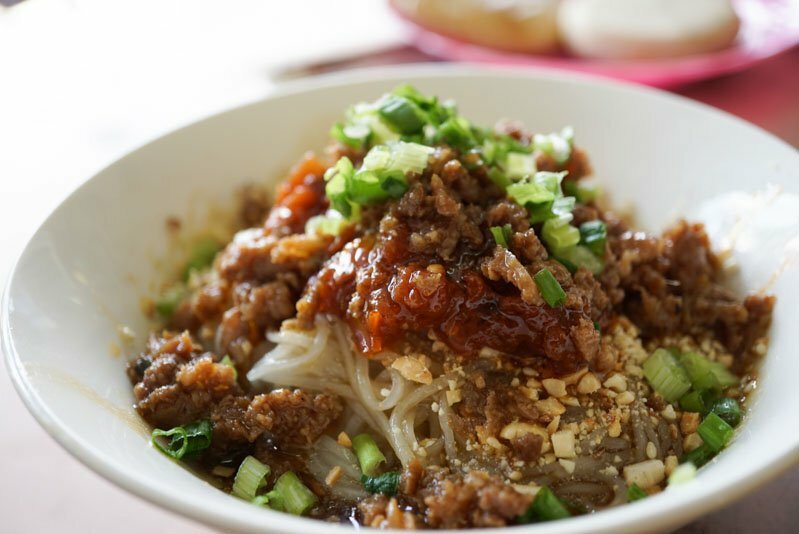 Sold by hawkers and street stall owners, this dish is definitely slurp worthy. 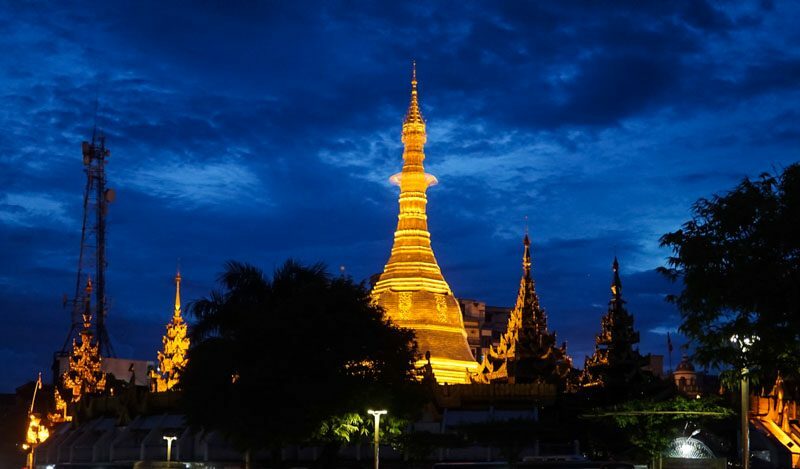 Different cities have their own variations so don’t be afraid to try one every time you go to another Burmese city. The morning markets in Myanmar are amazing. They are bustling with energy and super colourful, which will wake your lazy bones up. My favourite morning market was at Nyaungshwe, located in the Shan State of Myanmar, home to Myanmar’s second largest lake: Inle Lake. Snacks are also sold in the market. The peanuts looked really good. 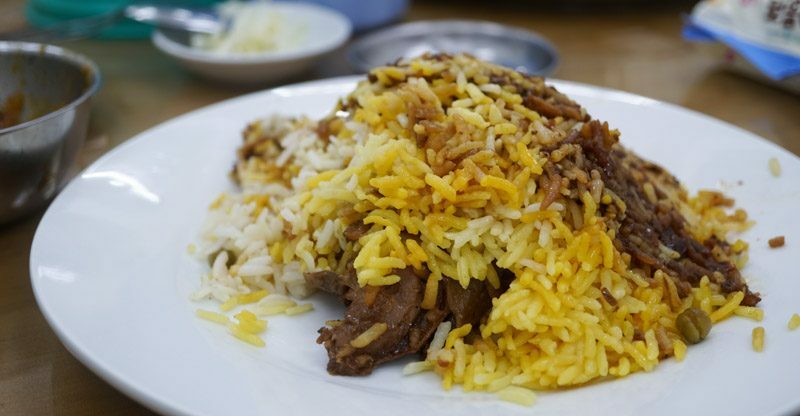 Myanmar has their own version of briyani rice. It is less heavy than most briyani rice in Singapore and they seem to like drizzling their rice with some kind of local dark sauce. The rice is super fluffy and the best part is you don’t even feel full, leaving room for beer or even some street food. I have never found beer cheaper anywhere than in Myanmar (cocktails too, yikes!). With USD2, you could probably buy a beer worth 750ml. Nothing would really stop you from buying more except your conscience. 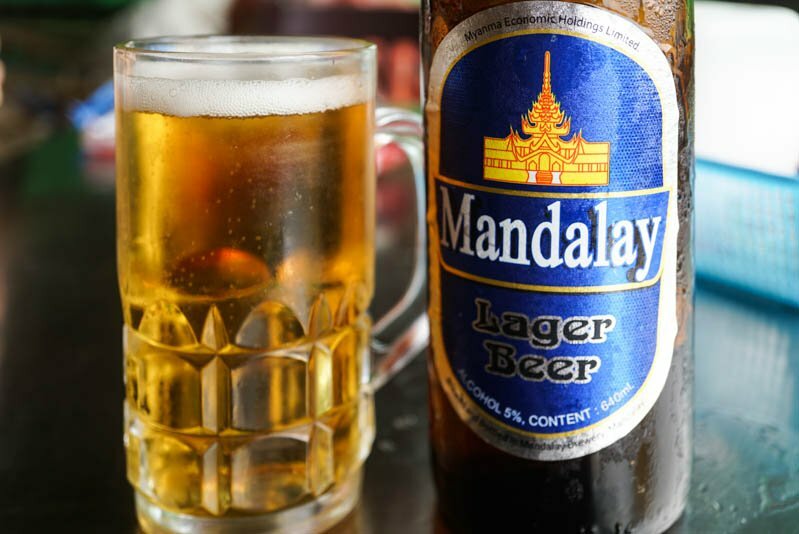 I quite like the taste of Myanmar and Mandalay beer. I prefer Mandalay beer. It was more hoppy and bitter but had a refreshing after taste. Nightlife wise, Wednesdays are the best. Burmese Ladies Nights are hands down the best in the world. Check out Fuse if you’re keen. 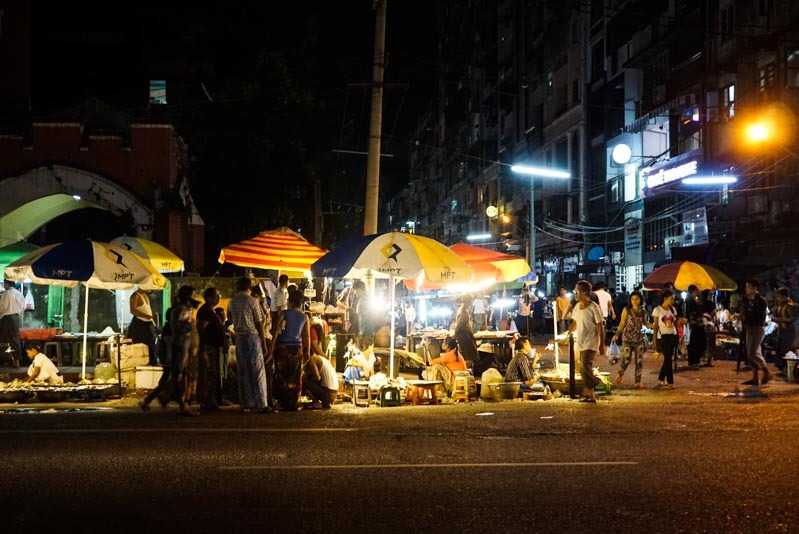 The night markets in Myanmar are phenomenal, especially the one in Yangon. Street after street, you’ll find people of all kinds gathering to buy their food, clothes, toiletries, groceries… everything. Even though it gets really hot, it’s a mess that you want to be tangled in. The energy is amazing and the food, oh, the food… who doesn’t love a good supper? Tea shops in Myanmar are like mamak shops in Malaysia. You’ll find many of them next to one another and rows of plastic stools and tables pouring into the streets of Myanmar, just like football season in Malaysia’s mamak shops. The tea is very much like teh tarik. It uses condensed milk too. At less than USD0.50 (500 KYT), I was tempted to order more than one. You could eat it with any snack too. Samosas, you tiao (Myanmar has their own you tiao! They call it char kway), bread… anything you fancy, really. Teaching English to Burmese kids was something I personally enjoyed doing. I got to mingle with the local people, and even though a session or two doesn’t help that much, they are really happy to have someone to speak to in English. In exchange, the Burmese people are really happy to teach you their own language too which is really cool. All those symbols and signs are really hard to comprehend. Now, I don’t think Mandarin is the hardest language to grasp but Burmese is. Now, we’re getting area specific. For Mandalay, although a lot of tourists like to take the three ancient cities route, I would have rather focussed on a few places if I could do it again. Here are some of the highlights during my trip to Mandalay. 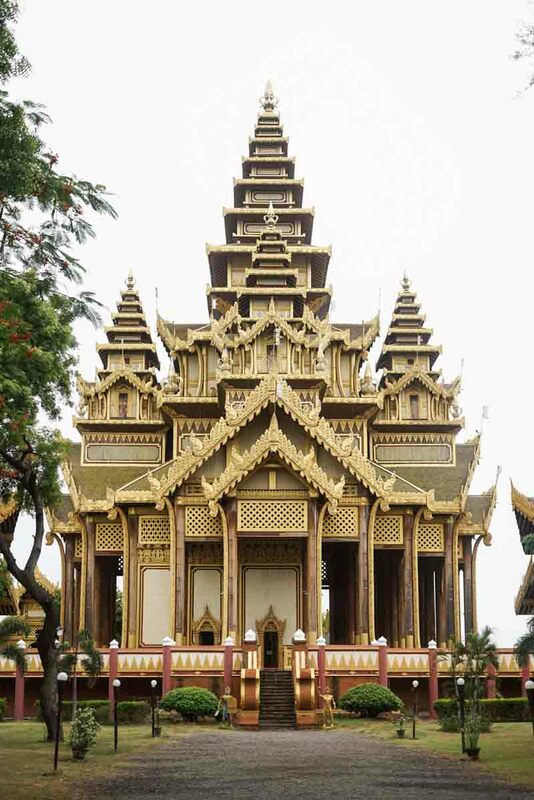 The Mandalay Palace is the last royal palace of the last Burmese monarchy. Inside this palace sits ancient weapons, a museum, a watch tower and several halls. I liked walking around the compound and exploring the different architecture of buildings within the compound. The watch tower has 129 steps and oversees the entire estate. Amongst all the other ancient cities, I liked Mrauk U the best. To get to Mrauk U, you have to hop on a bum boat for KYT500 (less than USD0.50). The bum boat ride was really enjoyable, blowing cold breeze into our hair. On top of that, you’d get to see Myanmar’s mighty Ayerwaddy River – the most famous Burmese river, known for being the backbone of Myanmar. Mrauk U is an ancient city and it truly lives up to that title. You have to ride a horse to get around, unless you have a motorbike. Having lived in cities, this was an experience that I never had before. 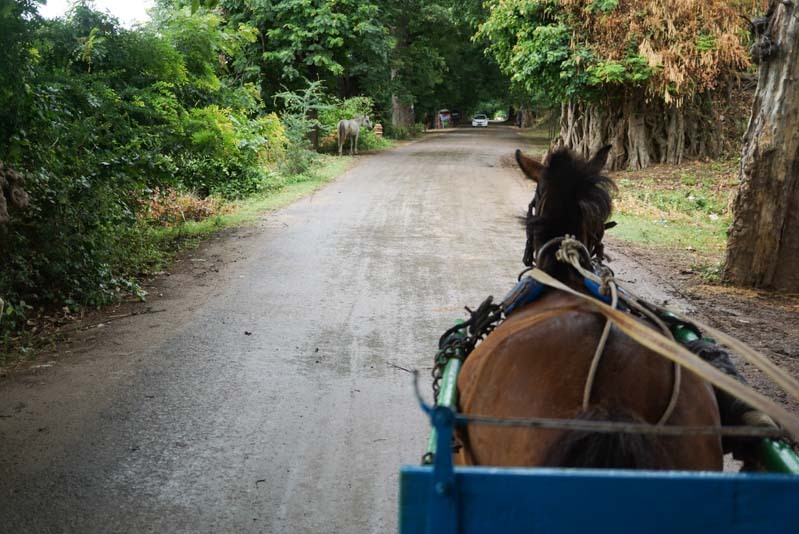 Worth 9000KYT (less than USD9), the trip was quite scary at first because the stable seemed unstable, but eventually you get comfortable and might even be lulled to sleep. I made a trip to King Galon’s Gold Leaf Workshop, Sales Centre and Show Room to find out how gold is made. The souvenirs are really pretty too (some are very affordable, yay!) so if you need to buy anything for your loved ones, here is a great stop. No bargaining is involved which shows that this place is pretty legit. Mandalay Hill is 240m above sea level. Sitting atop of the hill is the Sutaungpyei Pagoda where you can see all of Mandalay from on top. The view is definitely something you shouldn’t miss out on, especially if you’re from Singapore! A sight uncommon in our city. The Sutaungpyei Pagoda is really pretty and worth a look around too. By far one of my favourite pagodas. 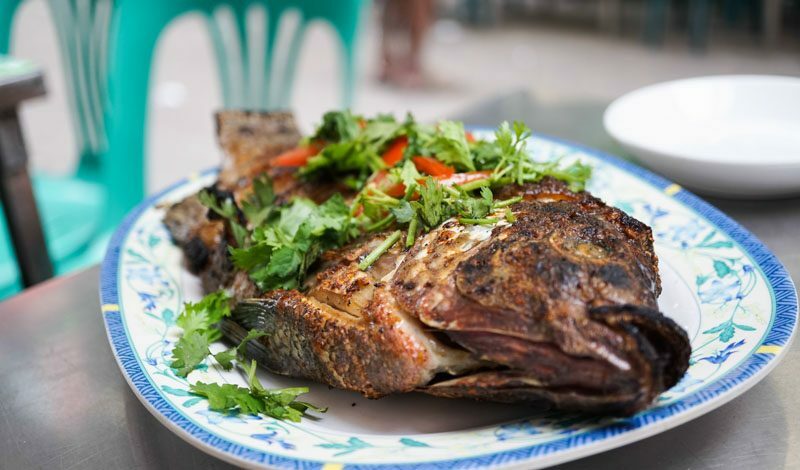 Mandalay, like Yangon, has a pretty good food scene too. It is like the Penang of Malaysia. Street food is a must-try. 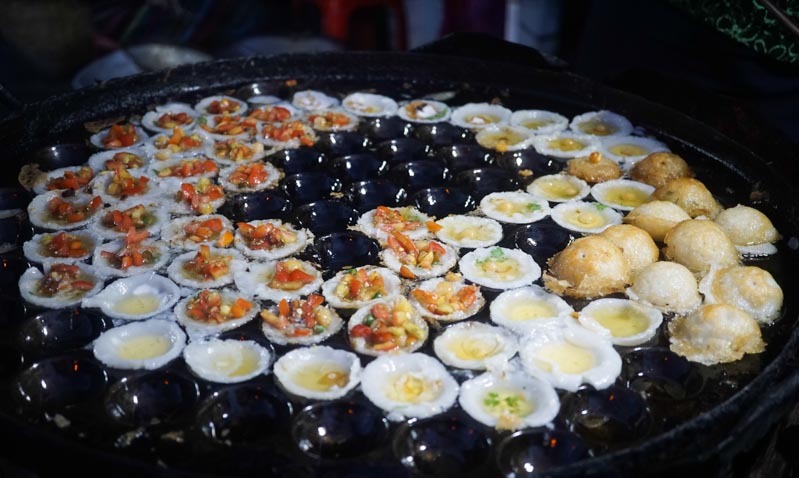 These tiny bites can be found anywhere in Myanmar but having tried them in different cities, I think Mandalay does it best. These “husband and wife snacks” are simple dollops of rice flour batter added to a sizzling muffin-like cast iron pan with quail eggs, scallions, or roasted chickpeas added to them. 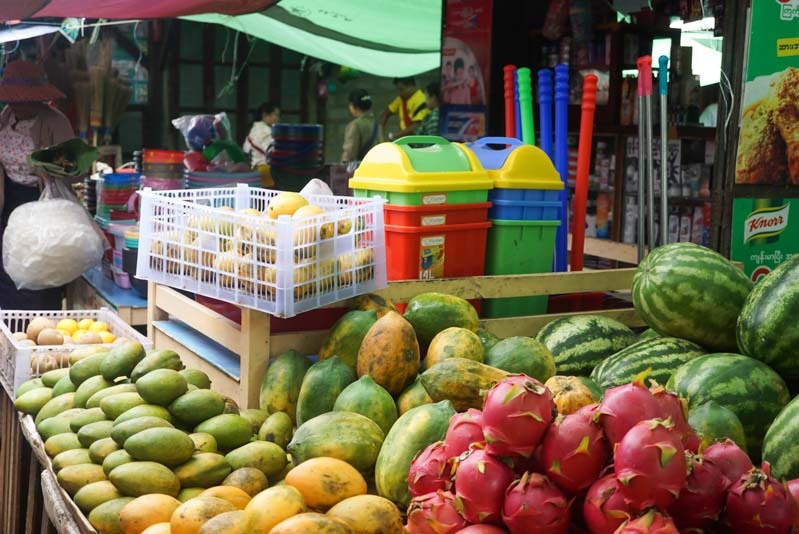 The Mandalay night market at 31st street is a must-go. U Bein Bridge stretches from one end of the Taungthaman Lake to the other. Built in 1850, this 1.2 km bridge is the oldest and longest teakwood bridge in the world. It is a very lively bridge despite its age. You’ll see kids running around and couples holding hands. The cool breeze is something you will definitely enjoy. The best time to go to the bridge is in the evening. A long time ago, Myanmar was a hub for intellectuals. The world’s largest book at Kuthodaw Pagoda is evident of this. The book has 1460 pages. Each page is 107 centimetres wide, 153 centimetres in height and 13 cm thick, housed under a roof with a precious gem on top. A very Instagram-worthy place to drop by. Other than street food, restaurants around Mandalay are pretty good too. 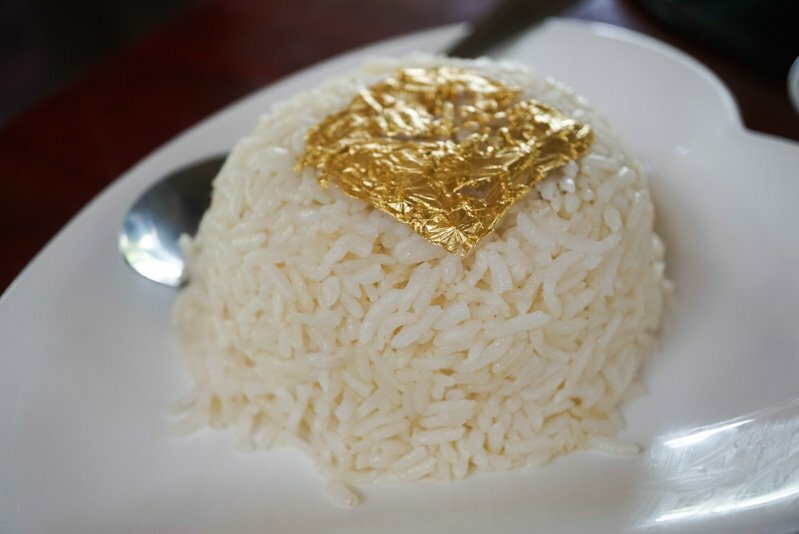 Unique Myanmar, in particular, is great for the Gold Leaf Rice. If you’ve never tried it, you have to. Mixed with feta cheese and natural spices such as rosemary, Gold Leaf Rice is fragrant and goes really well with pork curry. 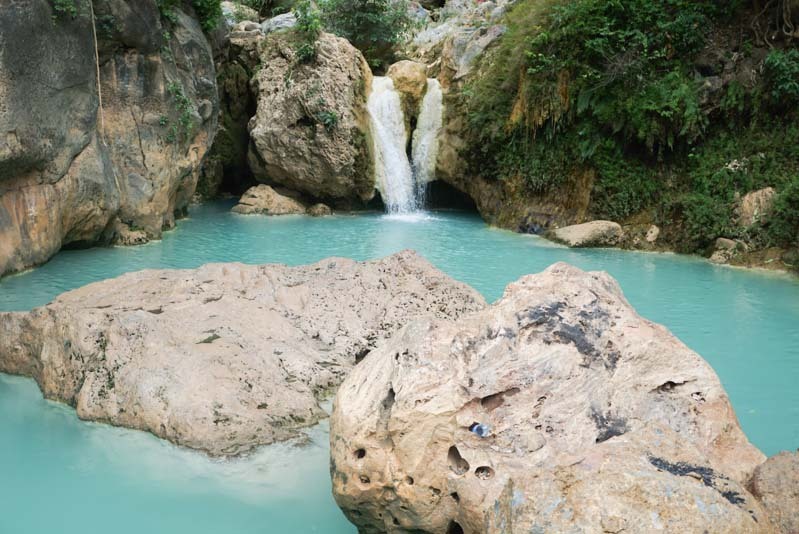 I personally love chasing waterfalls so when I heard there was a waterfall in Mandalay, I was more than excited to go there, no matter how long the journey. Deedoke is located about an hour away from the city centre. In case you get lost, add on another 30 minutes to your itinerary. After, you still have to hike for about 20 minutes to the waterfall so prepare yourself for quite a journey. Going to Deedoke was the perfect way to escape the heat. Filled with minerals, you can see some fish swimming around in the clear blue water. Inle Lake is a freshwater lake. It is the second largest lake in Myanmar and contains a number of endemic species. 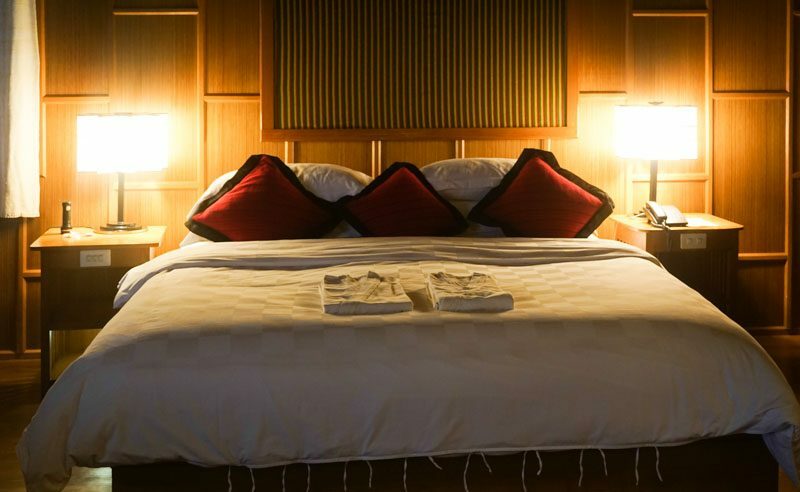 Inle is also the perfect place to wind down and relax. It reminded me a lot of my dad’s hometown in Malaysia – Ipoh. Everything happens at a slower pace and the air is really fresh. 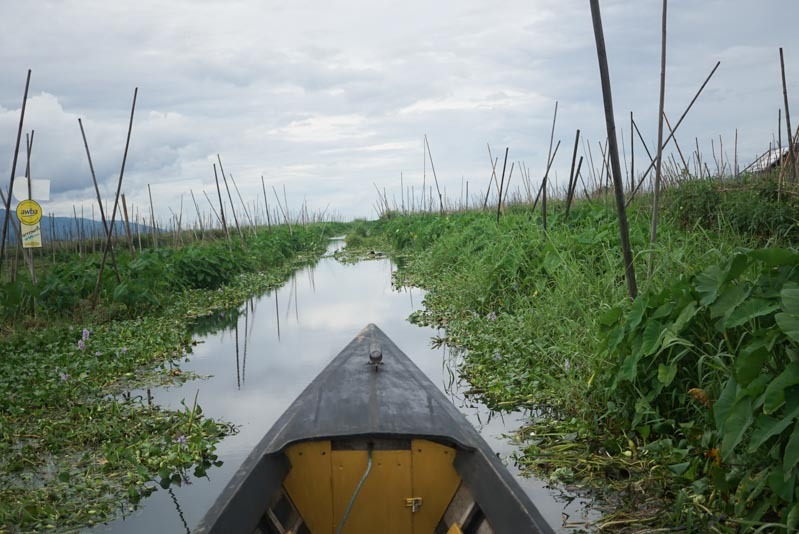 The only way to get around the Inle Lake is to go around by boat. Fortunately, Inle Princess organised the boat trip for us and we had a lot of fun checking out workshops around the villages within Inle Lake. Normally, the price is around 15,000 KYT (less than USD 15) for an entire day on boat. Go at sun rise and come back at sun set, the view is really beautiful with mountains in the backdrop. You’ll see signs around the lake showing which direction to take to go to which village. Don’t forget to bring a pair of binoculars. Myanmar is home to over 500 species of bird and I was lucky enough to spot a kingfisher. Inle is the perfect spot for bird watching enthusiasts. At Inle Princess‘ sister hotel, Inle Heritage, you can find a mini aquarium that is worth dropping by. 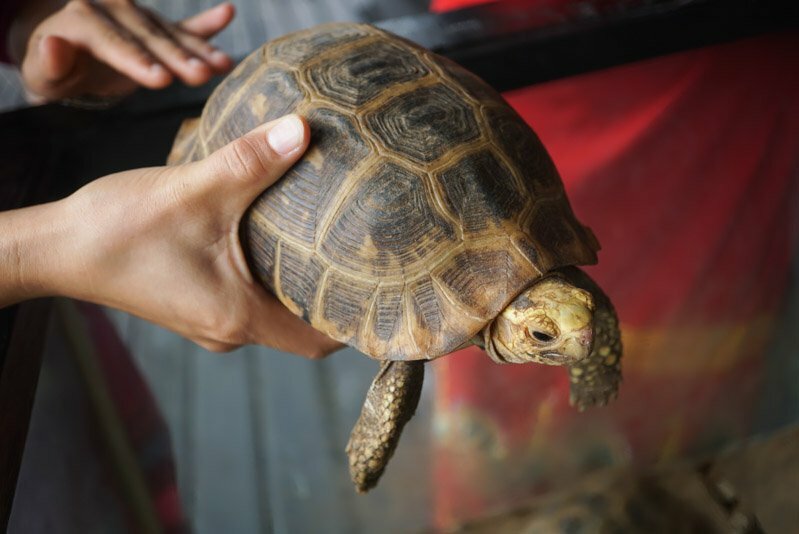 You can even get to hold and pet the tortoises! The mini aquarium is home to three different kinds of tortoises and 19 other aquatic species. 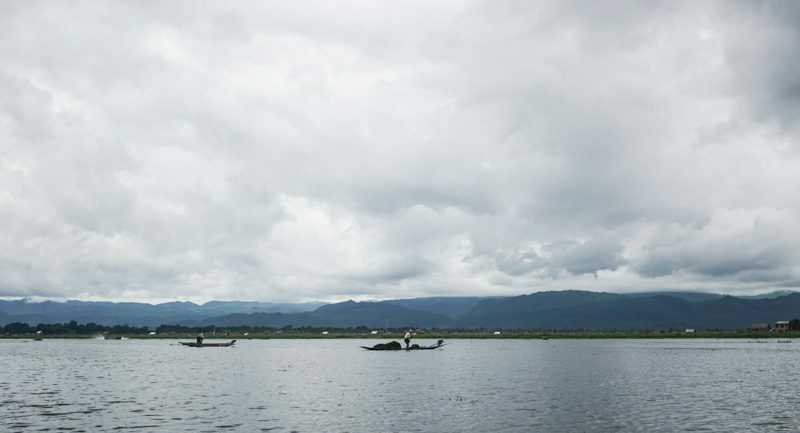 Inle Lake is a great place to go fishing. You can see fishermen going about their daily routine during your day out at the lake. At Inle, fishermen fish with conical nets (saung) and harpoons whilst rowing with one leg. In the morning, however, there may be some unpleasant sights of electro-fishing which actually harms the well being of the lake. 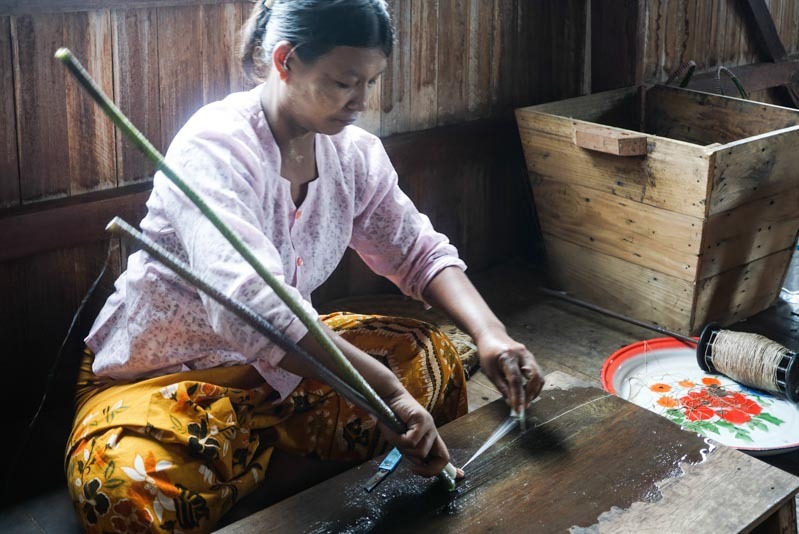 Inle Heritage is actively involved in stopping electro-fishing and their mini aquarium provides a lot of information about this issue. Shan paper is very popular in Myanmar. 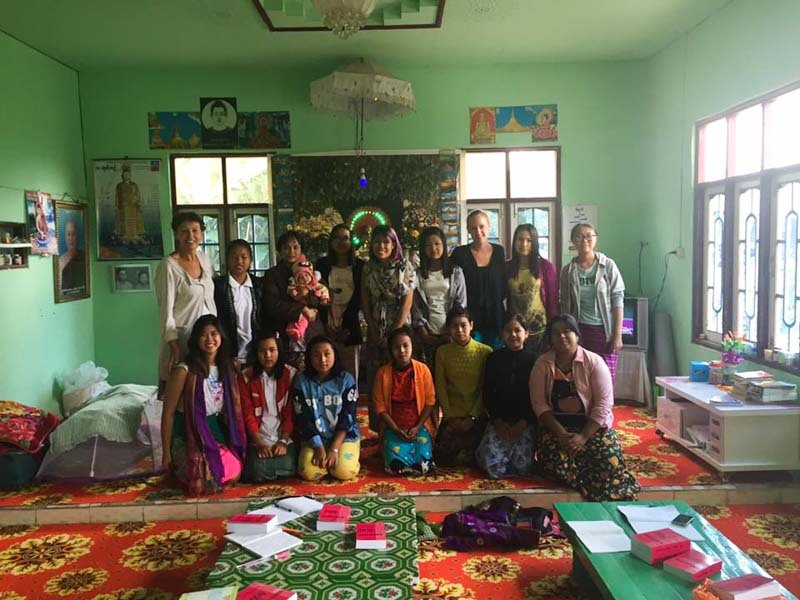 This workshop is ran by a family who lives in Pindaya, a town situated in Shan State near Inle Lake, and it was my favourite workshop to visit. Shan paper uses fiber from mulberry tree. The manufacturing process is about 5 hours. 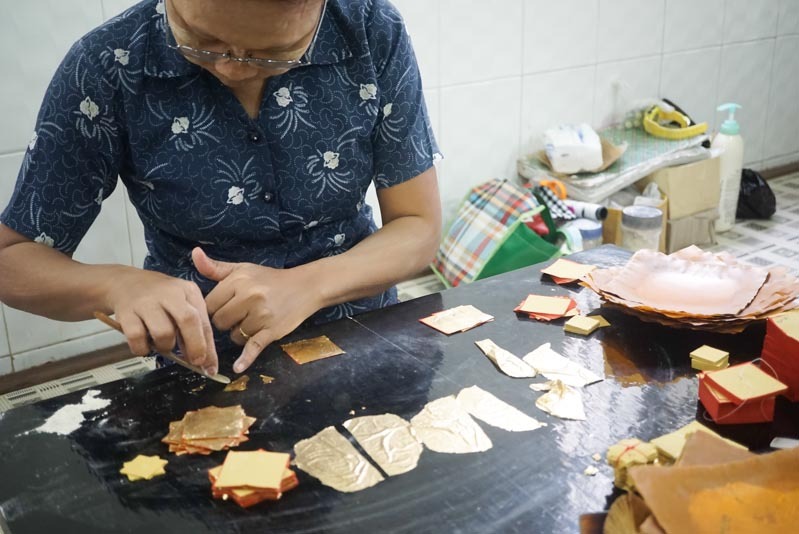 It is a long and tedious process, especially since everything is handmade. Waiting in front of the shop are these long-necked ladies too! The longer their necks were, the more beautiful they were considered. At Inle Lake, there is a village that specialises in lotus weaving. The lotus can only be found in the lake itself. The stem of a lotus plant is cut and then pulled gently apart that threads appear. The threads are then spun into longer fibres and weaved into cloth. The cloth is super smooth and is said to keep you warm when you’re cold and cold when you’re hot. There’s always a time to wear it. It is also believed that by wearing something made from the lotus, the lotus can help to absorb bad things from our bodies and bring us good luck. Inle Lake isn’t only for transportation, lotus weaving and fishing but also to grow local and fruit. Extensive manual labor occur every day on the floating garden beds. Farmers gather weed from the lake and make these floating beds anchored by bamboo sticks. 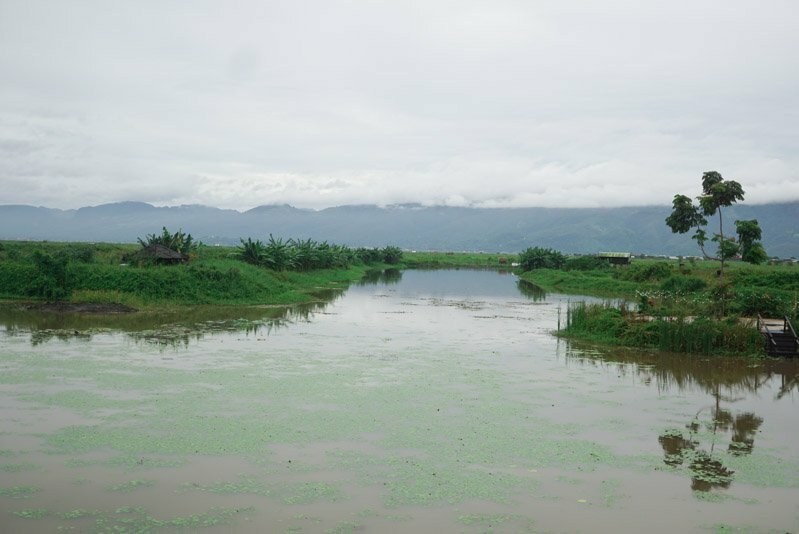 The water in Inle Lake is rich in nutrients so gardens blossom very easily. Burmese cats have existed in Myanmar for over 1000 years. They were royal pets and temple or monastery cats. Now, there are no more pure breeds after interbreeding with outside breeds during the colonial period before the Second World War. 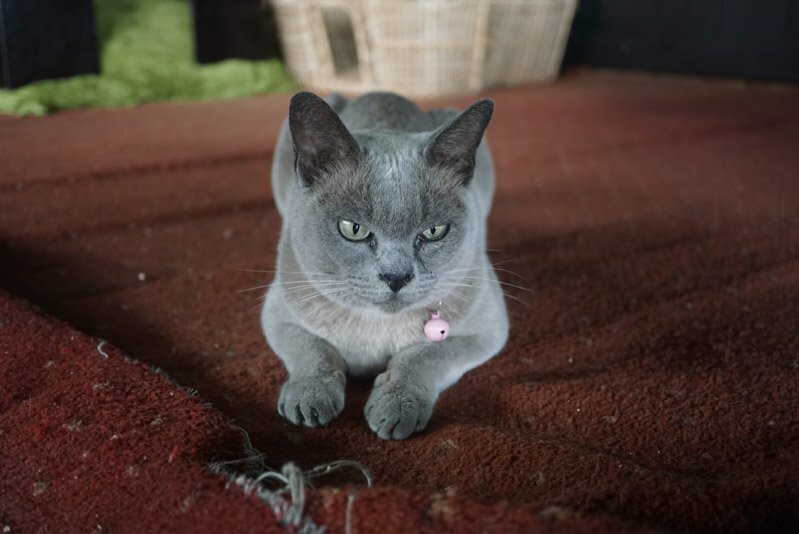 Inle Heritage reintroduced Burmese cats to Myanmar in 2008 in partnership with China Exploration & Research Society. The pioneering breeding programme was very successful. The programme started with seven cats and the population has grown to over 40 cats today. The cats are treated really well at Inle Heritage. You can see the vaccination charts and other health indicators as you walk around the cat village and sheltered resting space. 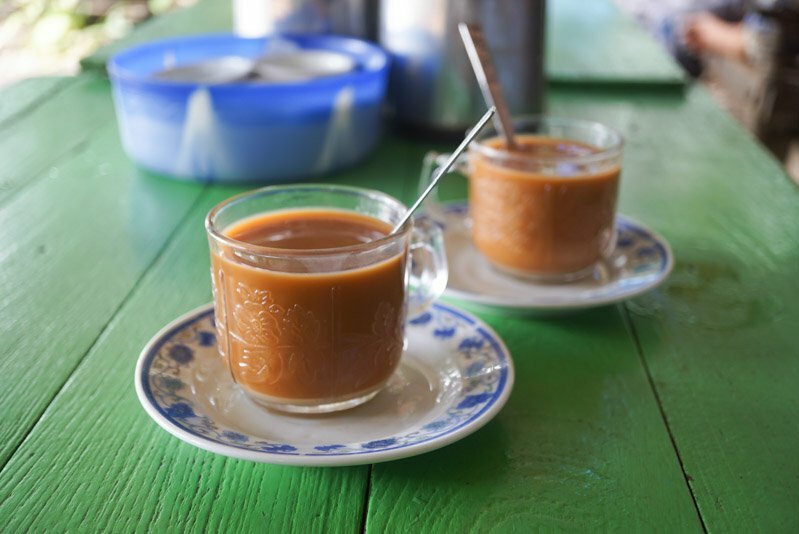 Inle Princess‘ breakfasts were also the highlight of my stay at Inle Lake. The Burmese Pancakes are to die for. 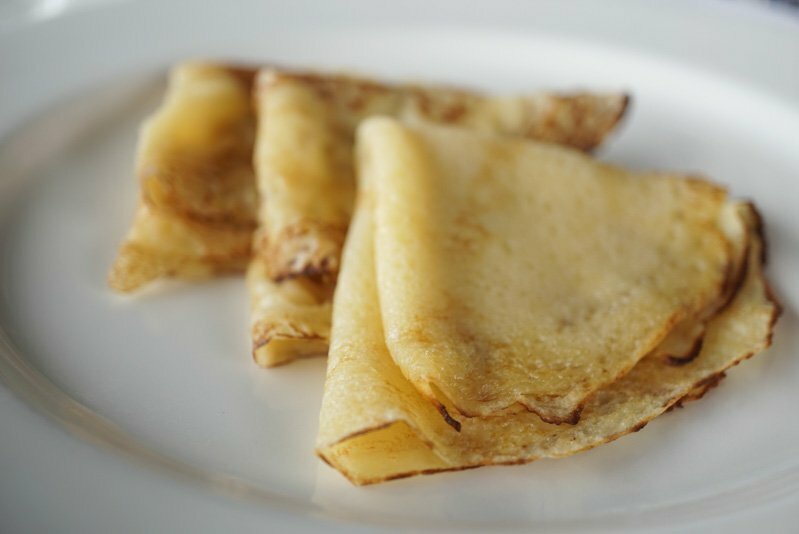 Unlike pancakes in the west, these pancakes are more crepe-like, like Malay pancakes. 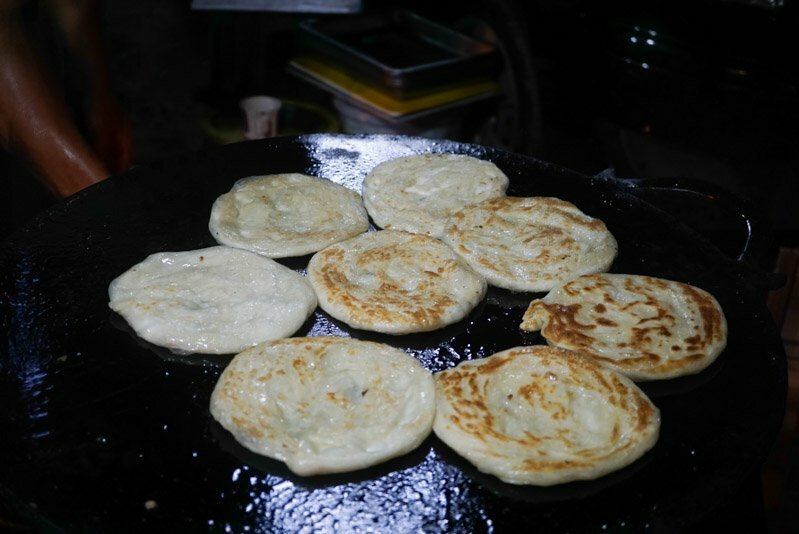 It is really crispy on the edges and goes really well with Inle Princess’ freshly made purees. I could devour this in minutes. Shan noodle is Inle’s specialty. You can have it wet or dry. Either way, it is very delicious. The noodles are really soft and doused in different sauces. I really liked the peanut flavour that this dish gave off. Inle Princess sits on an inlet near the Blue Mountains in southern Shan state. It is a quiet place where you can simply relax. All their houses have clay ovens which keep you warm when it gets cold. The beds are also super comfortable. I haven’t slept for 12 hours straight in a long time but I managed to here. 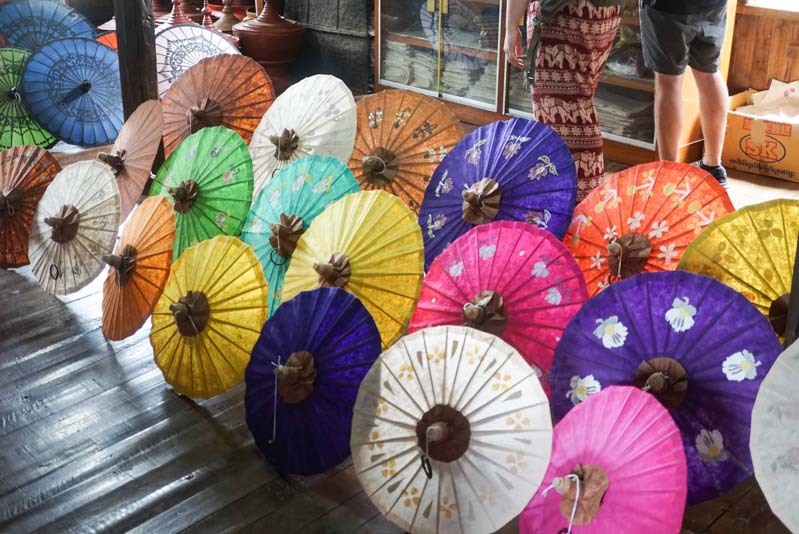 At Inle Princess, guests also get to take home a little souvenir. 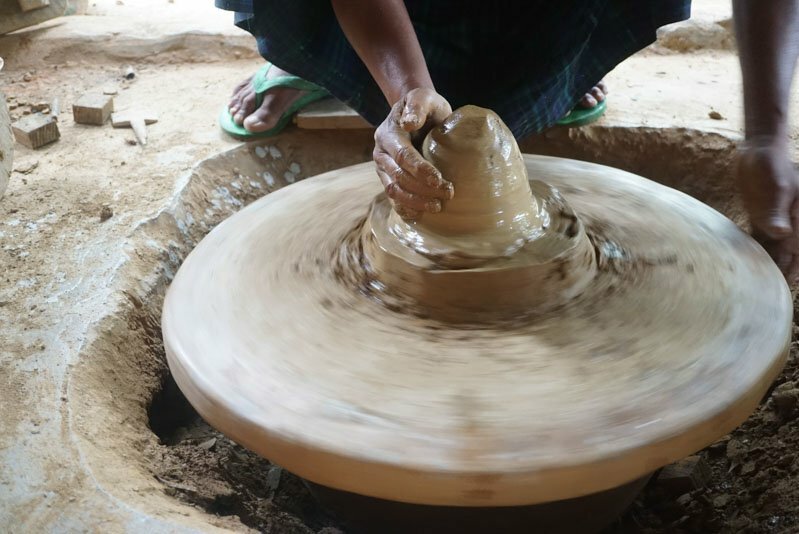 You could try out pottery at their artisan village and make your own pot or have someone help you while you try it out too. 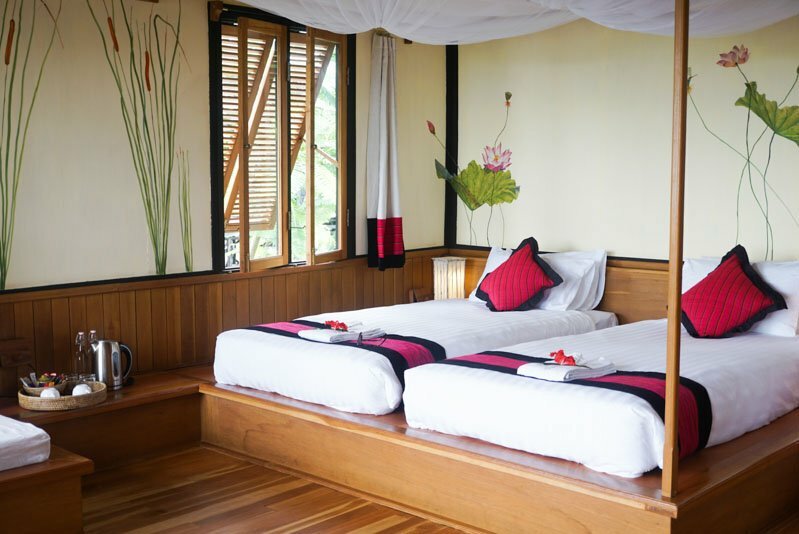 Inle Heritage is the sister hotel of Inle Princess and it is located smack in the middle of the lake. You will feel like you are in another world altogether. It is a great place to read a book and chill. The atmosphere is serene and the view is wonderful. Bagan was drier and hotter than the previous places we visited in Myanmar. It was also quieter and looked more ancient. This palace was reopened to the public in 2008 and some massive restoration. Despite the major facelift, the architecture remains the same. Bagan was where Myanmar’s first ancient empire was born. King Anawrahta reunified Myanmar in 1044 in Bagan. If you love historical attractions, this is definitely up your alley. 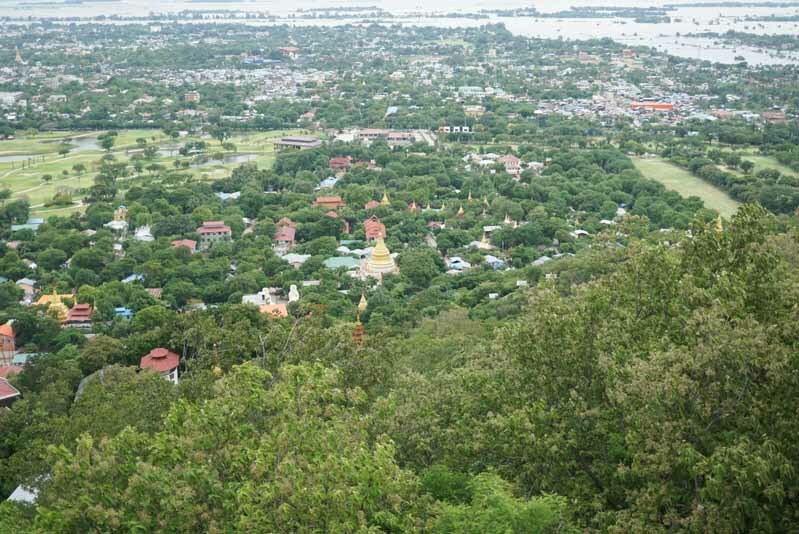 If you want to go to Mount Popa via taxi, be prepared to spend about 38000KYT (around USD38). If not, just bring a bicycle with you. The roads leading to Mount Popa can be easily cycled. 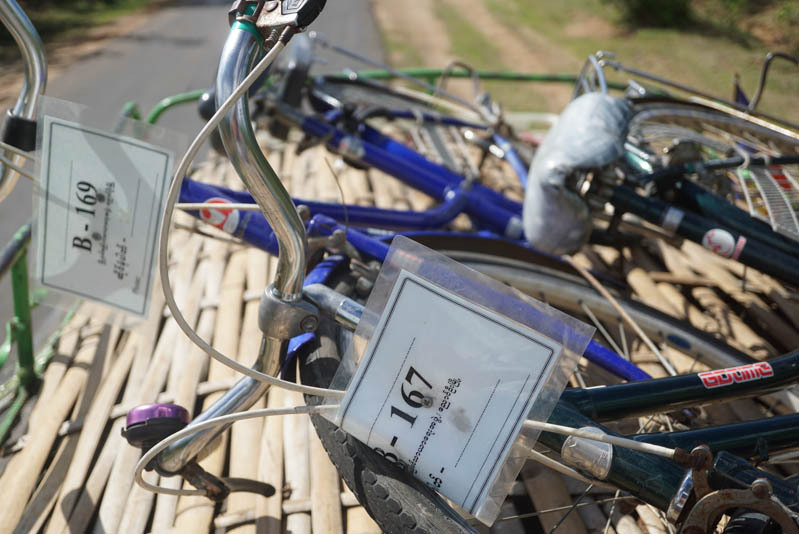 Renting a bicycle costs about 1500KYT (around USD 5). Some training for this is recommended. After the long ride, you would still have to hike for a good hour to reach the top. 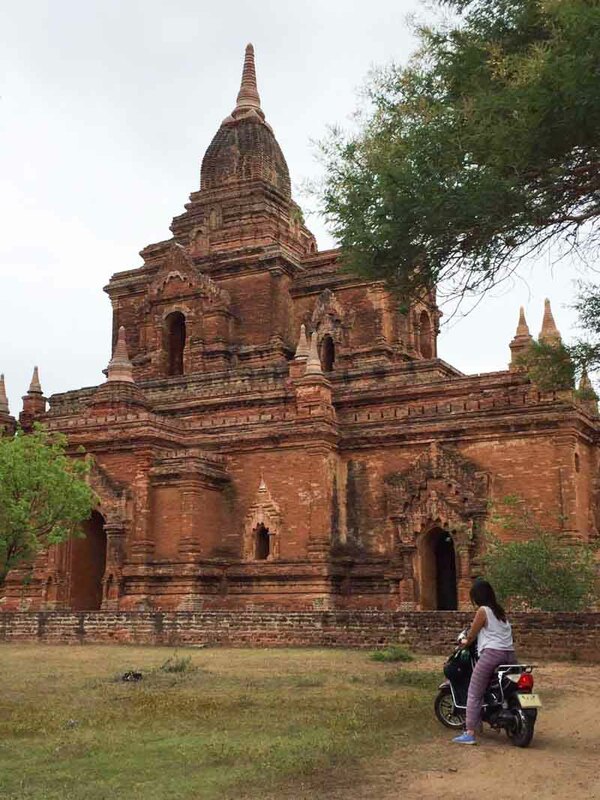 The best way to get around Bagan is to e-bike. E-biking around pagodas was one of the best parts of my trip there. I could choose when to stop and where I wanted to stop. It costs 8000KYT (less then USD8) to hire one for a full day (sun rise until sun set), that means you could go through villages to see what life is like in Bagan. 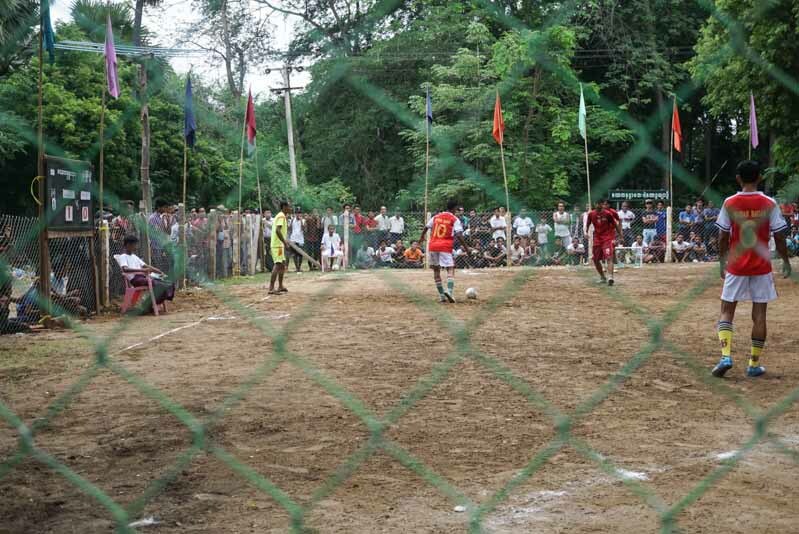 We witnessed a local futsal match, which got really exciting to watch as the players got pretty competitive! 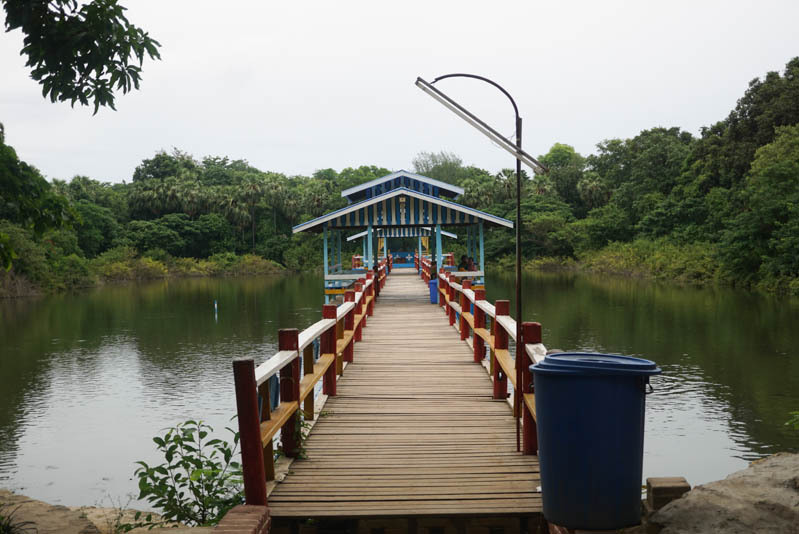 And we happened to chanced upon a beautiful lake while exploring the villages, a beautiful pit-stop to rest before continuing out journey. Bagan is a really dry area so do wear some sun glasses to prevent sand from getting in your eyes. 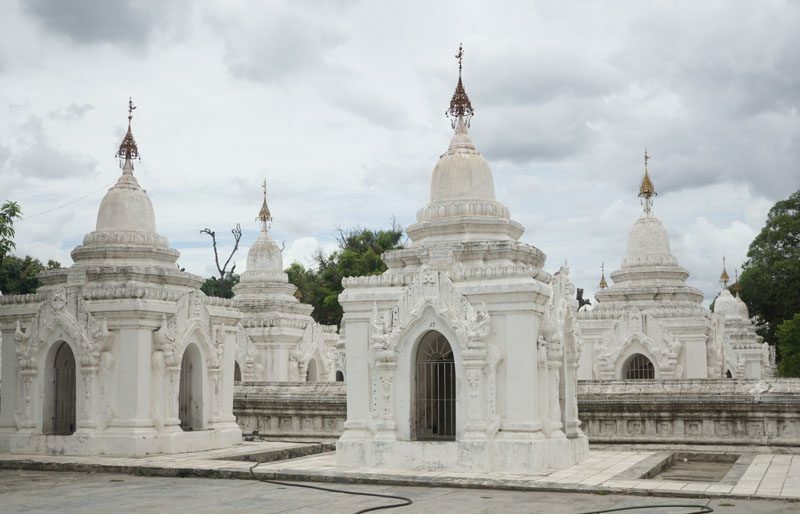 Known for its mystical pagodas, no trip to Myanmar is complete without visiting Sule Pagoda and Shwendagon Pagoda. These two pagodas gave me the chills. They are so beautiful, especially during sunrise and sunset. 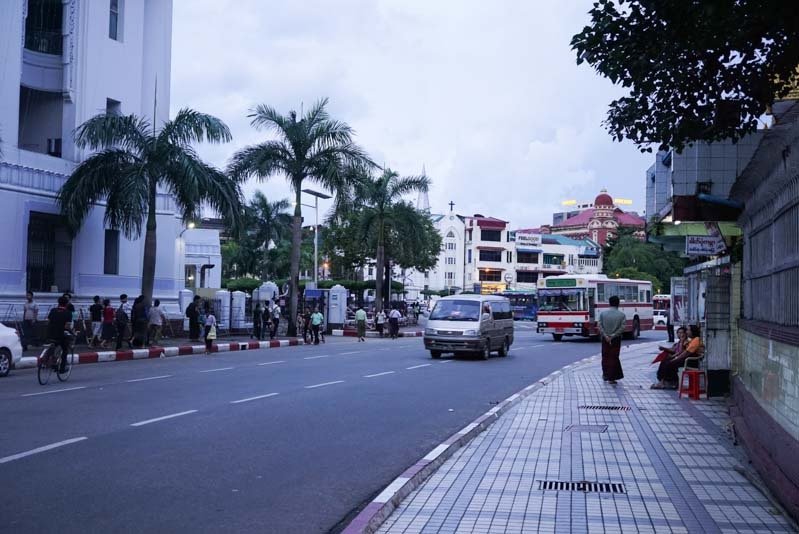 Sule is smack in the center of Yangon. 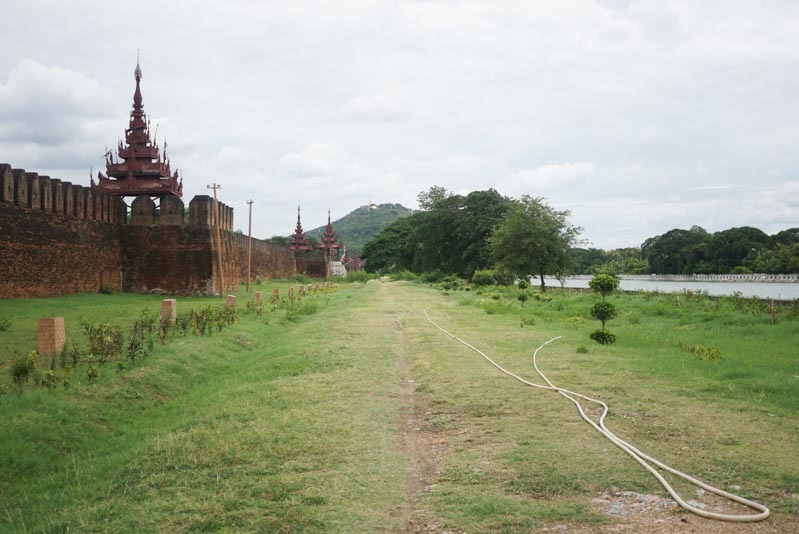 It is 48 meters tall and was used by the British as the nucleus of their grid pattern plan for Burma in the 1880s. Sule, unlike other pagodas, is a octagonal-shaped pagoda. 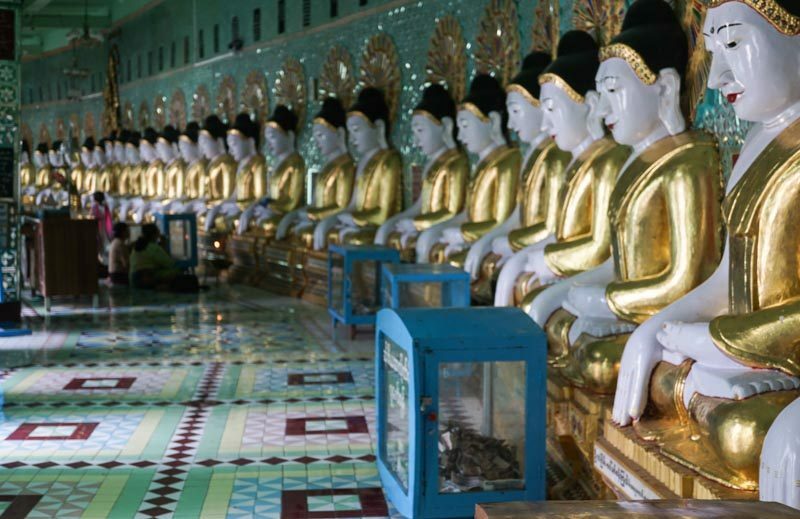 The 2,500 years old Shwedagon Pagoda enshrines strands of Buddha’s hair and other holy relics. It is a must visit. Shwedagon Pagoda is covered with hundreds of gold plates and its stupa is encrusted with 4531 diamonds. 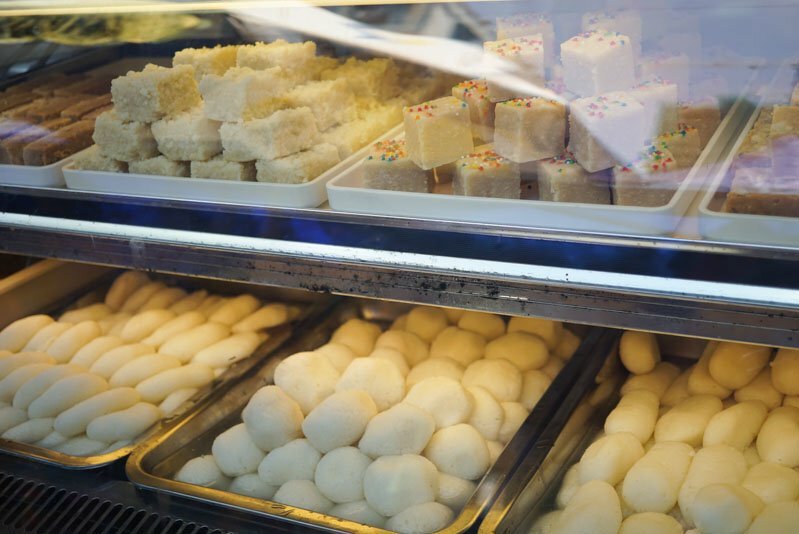 Burmese desserts are great. They tend to be really sweet. But hey, if it costs 200KYT (0.20USD), I’m going to eat as much as I want to. Out of all the cities I’ve been in Myanmar, Yangon had the best pratas, or as they say in Malaysia, roti canai. Fluffy, slightly greasy and eaten with sugar, these flat bums of goodness only cost 200KYT (less than USD0.20!). I obviously had more than one. Carb overload! 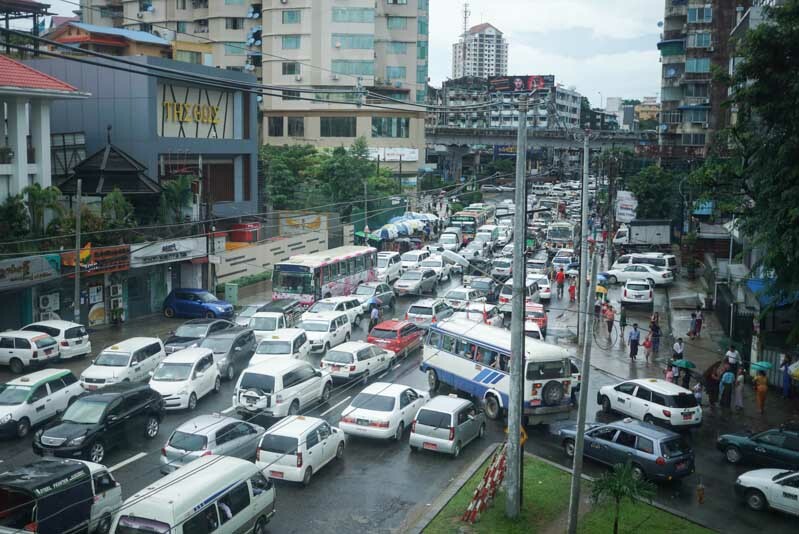 Yangon is a really colourful city. Take a walk up and down any street and you’ll find something new that will strike you, and compel you to buy home as souvenirs. Never in my life have I eaten such a fresh ikan bakar which only cost me less than USD3.50 (3500 KYT). The fish was so fresh and the meat was so juicy. Packed with spices to excuse the pungent smell of fish stomach, this is by far one of the most delicious fish I ever had. So good that you can eat it plain or with white rice and nothing else. 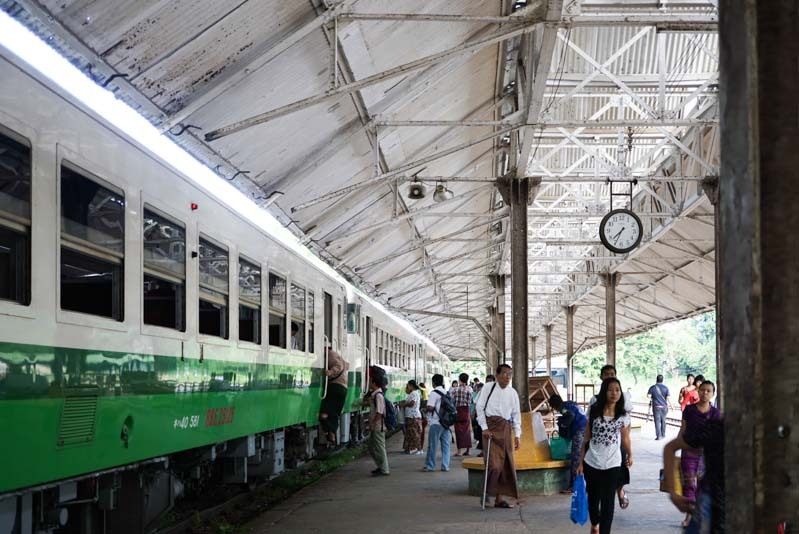 The Yangon Circular Railway is something you definitely have to experience. You won’t only experience a day in the life of locals, but also get to take amazing photos of the outskirts of the city. You’ll see people moving up and down the train selling things, and also meet people of all kinds getting on and off the trains. 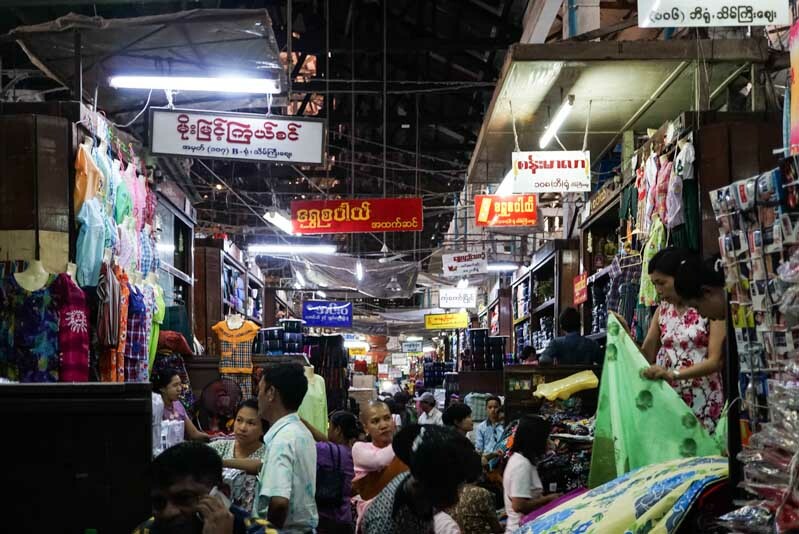 Businessmen, market whole sellers… it’s one of those things that allows you to experience Myanmar for what it really is. A Singaporean-born, Malaysian/UK-bred Montrealiase studying Economics & East Asian Studies at McGill University, Canada. When I'm not eating or writing, I'm dancing, sleeping or running. John Mayer is the most amazing man on Earth. I also love all things durian, cempedak, coconut, ciku and banana.